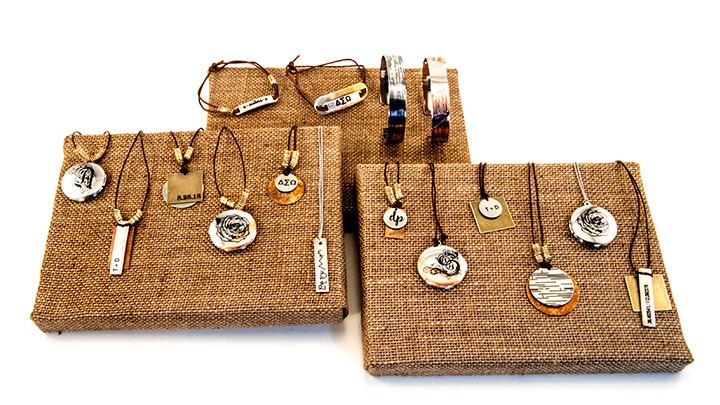 Laser engraving jewelry is quick and easy with a little help from your Epilog Laser system and a laser bonding agent. 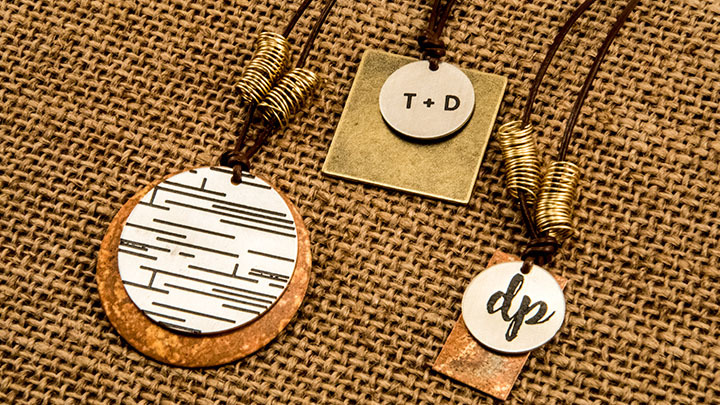 Using a laser bonding agent like CerMark or TherMark, you can customize common metals used for a variety of jewelry products. How does it work? 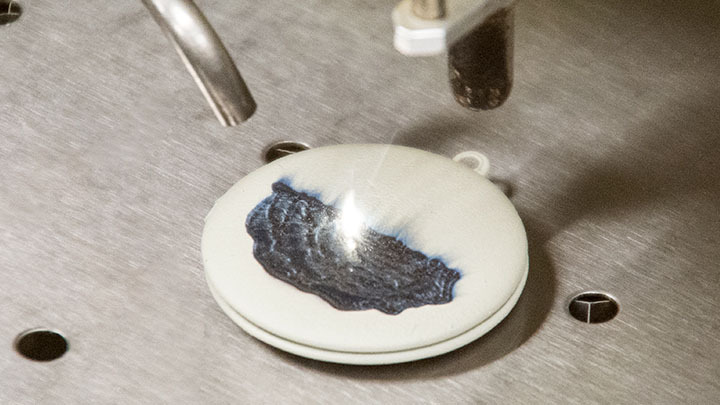 The heat from the laser bonds the marking agent to the metal, resulting in a permanent mark. These marks are very durable and stand up to significant amounts of wear and tear. 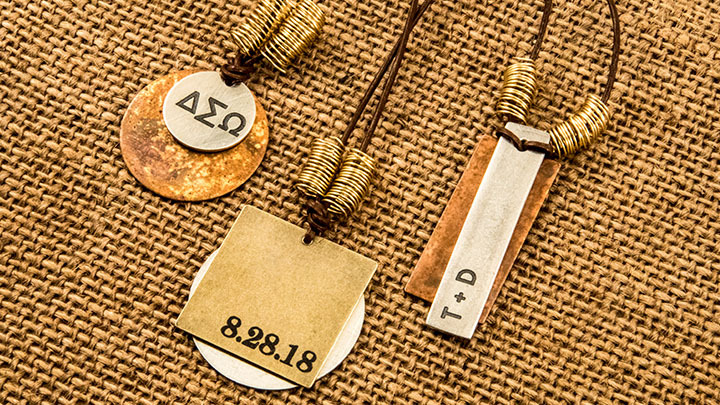 Here we've used a bonding agent to mark a variety of pendants and charms. Read on to learn how we did it! 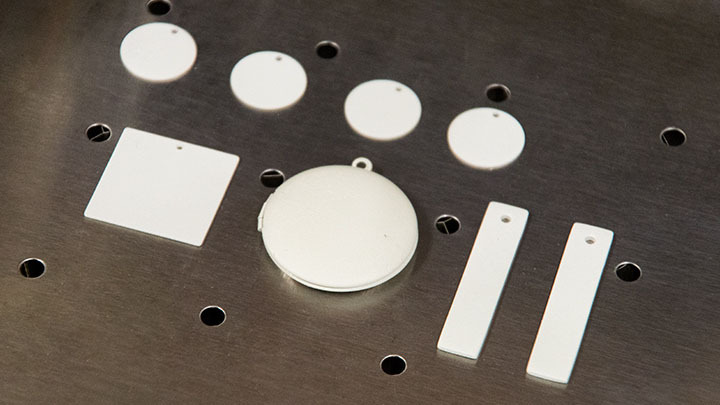 Place the jewelry pieces in the laser system, after coating them with CerMark. Download the engraving files and adjust the artwork accordingly. You may need to change the dimensions to fit your piece. Coat your metal jewelry pieces with CerMark and let dry. Insert your first engraving piece into the system. 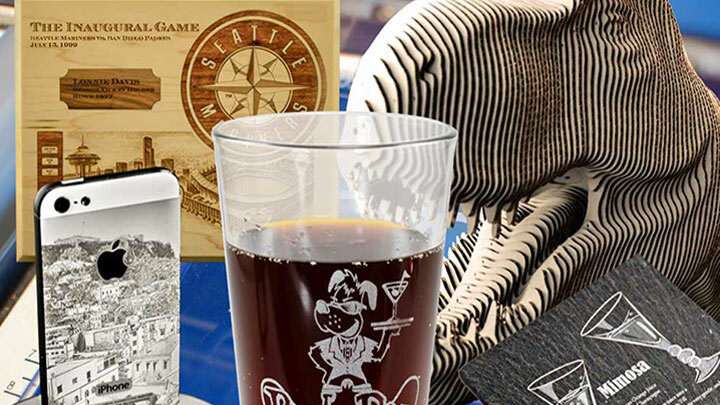 You can use the upper left corner (factory home position) if you'd like, or you can change the home position and place your product anywhere on the table and engrave using Epilog's Center-Center engraving feature. If you'd like a visual indicator of where your design will engrave, draw a vector box (or circle) around the graphics and with the red dot pointer on and laser lid open, run ONLY the vector portion. 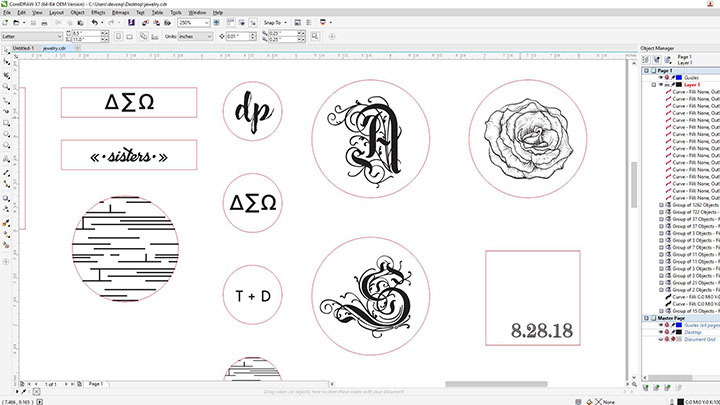 When you are satisfied with the placement of the design, remove the vector box, and you're ready to engrave. 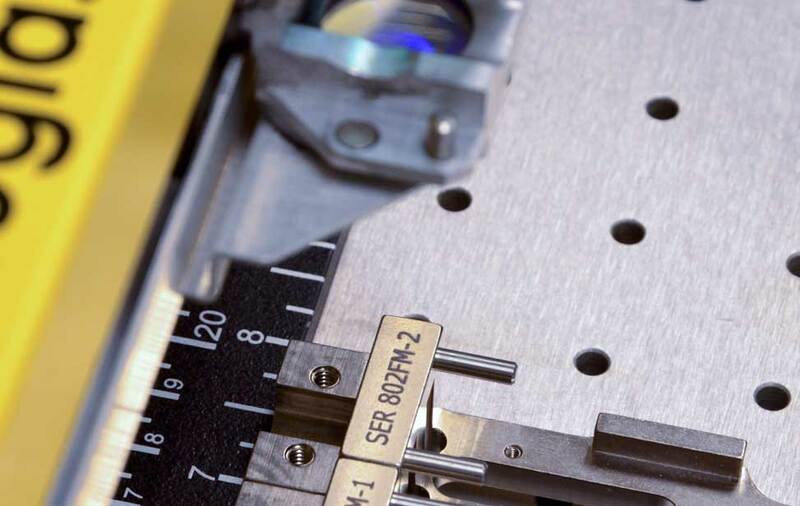 If you have a fiber laser, you can skip the pre-treating step, as these systems were designed for bare-metal marking. Just be sure to check your fiber laser user manual for recommended settings for your particular metal. 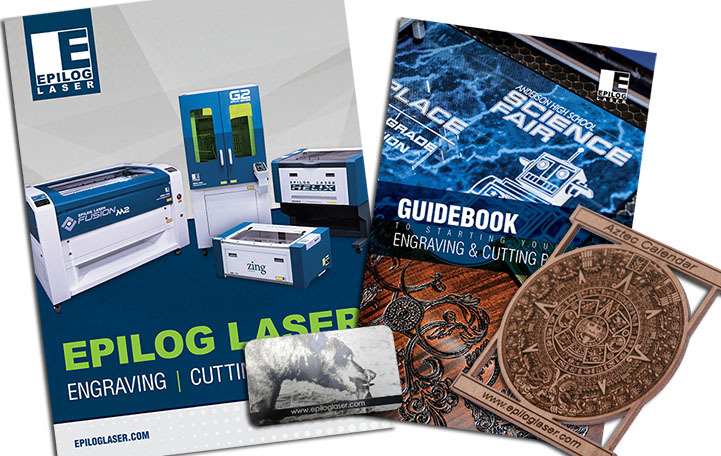 Once you've customized your graphics, send the job to the laser and press GO! The laser bonds the marking agent to the metal and you're left with a permanent design. Once engraved, remove the remaining bonding agent with a wet cloth and that's all there is to it! 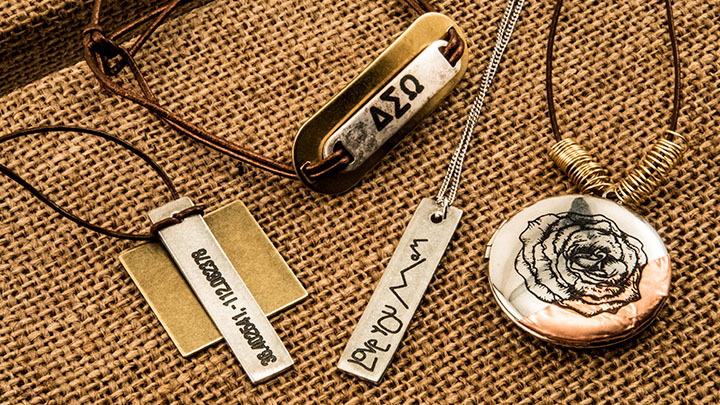 Where can you sell engraved customized jewelry?